Orthodontics is that branch in dental treatment which is fully concerned with the rehabilitation of misaligned teeth. A professional dentist who provides orthodontic services can perform surgery to alter the size, position, and shape of your teeth. People who have crooked, broken or misshapen teeth can consult a dentist who will play a vital role in restoring their prestigious smile and confidence by using orthodontic treatment. People who also suffers from bruxism, or teeth grinding, can consult an orthodontic dentist to provide their teeth protection against such harmful ailment. So, in this narrative, we will tell you some great benefits of orthodontics told by the renowned dentist in Los Angeles Dr. Shervin Louie. Learn how dental orthodontics can help you restore your smile and make you feel privileged like all others surrounding you. The greatest benefit of orthodontic treatments is that it can also be used as an effective preventive measure against various dental issues, besides providing a variety of cosmetic dental benefits. Although the success and effectiveness provided by an orthodontic treatment depend greatly on the qualification and professional skills of a dentist, so make sure you go only to a reliable dentist in Los Angeles whenever you decide to have an orthodontic treatment. Let us now take a quick look at some of the great benefits of orthodontics, laid down from the expert advice of Dr. Shervin Louie. Orthodontics play a vital role in reshaping and realigning teeth back to their normal state. When your teeth are not aligned properly, the chances increase of your teeth getting chipped or cracked. Even a little bit of unexpected collision can result in a severe dental injury and cause you pain and disruption in regular eating habits. Orthodontic treatment can protect you from this situation by realigning your teeth to their normal state. This greatly decreases the chances of suffering from a dental injury. Sometimes a dental problem may resist you to eat food in a normal way, which in turn applies tremendous pressure on your jaw muscles and joints. 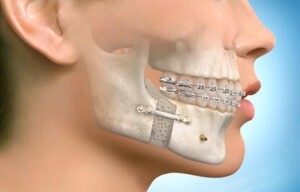 Orthodontics can help you in reducing such problems and to decrease the stress on your jaws and joints in the mouth. Habits like brushing your teeth regularly are mandatory in order to prevent most of the dental/oral problems. When your teeth are not aligned properly, it will become hard for the bristles of your brush to reach and clean most of the misaligned teeth. This dangerously leaves the germs or food particles stuck between those misaligned teeth and could ultimately lead to many dental/oral issues. In such a scenario, you should need to go to a professional dentist in Los Angeles, such as Dr. Shervin Louie, to get your teeth aligned back to their normal position with the use of orthodontic treatment. By doing so, you significantly decrease the chances of contracting any serious dental or oral issues. The freedom to smile openly and in front of everyone greatly restores your confidence and avoid getting depressed. With orthodontics, all types of issues involving your teeth alignment, shape, position and injuries could be eradicated and your teeth restored back to their former prestige. A professional dentist will also guide you further on how to maintain the sanctity of you dental and oral health after getting an orthodontic treatment. So, restore your smile back and feel confident on every occasion.